Reports reaching the Zambian Watchdog indicate that the National Crime Agency of the UK in Conjunction with USA and other EU money laundering agencies have confiscated the money which Zambia suspiciously paid to Libya under the guise of compensating Lapgreen Networks. Between January and February 2018, Zambia paid $49m and later $50 million to “Lapgreen” of Libya, a company that was owned by the government of Libya during the reign of Muamar Gaddafi but whose assets are now controlled by different warlords and terrorists controlling different parts of Libya. Other countries that owed Lapgreen money refused to pay owing to the situation in that country and for fear that the money will simply go into hands of gunmen and further destabilise Libya. But motivated by corruption, the Zambian regime agreed to pay as some of the money was paid back to Zambian government officials. Now it seems the move has attracted the USA and Europe who have either confiscated the money or are in the process of doing so. The Zambia Watchdog will bring you more details later. The Zambian government has forked our $49million to pay LAPGREEN the first instalment ordered by a questionable and suspicious arbitration court organized by Robinson Zulu of Meanwood company, in the United Kingdom. Robinson Zulu represents the interest of Lapgreen in Zambia and has ensured that the first installment of $49million towards the settlement of $380m is settled. According to the Financial Times of London, the Libyan Investment Authority (LIA) pursued similar action against Chad, Rwanda and Niger but their courts threw out these cases because no central or recognized government or its representatives exist in Libya. But Zambia is determined to pay the $380million to these unknown and unrecognized persons and their so called Lapgreen company. LAPGREEN was a Libyan company whose assets are spread across the world. A LAPGREEN based in Mauritius has been registered by unauthorized agents and international crooks who have registered a shell company in Mauritius after the fall of Libyan central government. In many countries in Europe and South Africa, the assets of Libya are being held in trust until a formal and recognized government emerges. In the case against Zambian government, the crooks moved the case from Lusaka High Court to an arbitration court to the United Kingdom. Then London Arbitration Court ordered that Zambia compensates Libya $380million for nationalizing Zamtel. Attorney General, Likando Kalaluka refused to appear on behalf of government or later appeal the case and its faulty Judgement. He was quick to however to sign the consent to honour “the Judgement” and now the first installment of $49m has been paid to these international conmen led by Robinson Zulu as local agent and LAPGREEN registered in Mauritius. This is a matter in which the Libyan Investment Authority (LIA), the former investment arm of the Libyan government dragged the Zambian government to court for abruptly reversing the sale of Zamtel without compensation. The Libyan company owned a 75 percent share of Zamtel while the Zambian government owned 25 percent. According to the Financial Times of London, the Libyan Investment Authority reportedly pursued similar action against Chad, Rwanda and Niger. 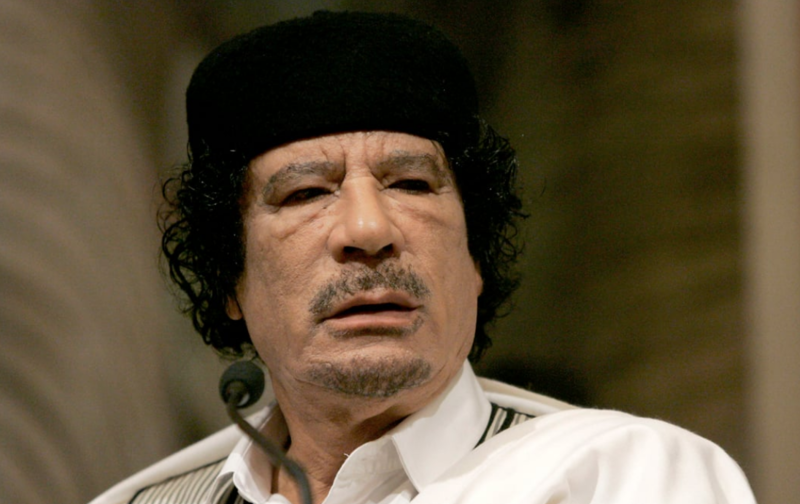 In the report, the LIA claims that the four countries took advantage of “Libya’s political turmoil to nationalise assets belonging to the country’s $66 billion sovereign funds” following the eight-month long conflict that brought a brutal end to Muammar Gaddafi’s 40-year rule. At the beginning of 2011, LAP Green Networks, a subsidiary of LIA, held stakes in nine telecoms operators across sub-Saharan Africa, including Chad’s Sotel Tchad, Oricel in Côte d’Ivoire and Gemtel Telecom in South Sudan. On 2 May, Niger’s parliament voted to nationalise telecoms asset Sonitel, pulling back from a privatisation agreement to sell a 51% stake to LAP Green for $62.16m. In January, then President Michael Sata seized a 75% stake in telecoms company Zamtel that LAP Green had purchased for $257m during a privatisation exercise in 2010. LAP Green challenged the government’s actions in court and was asking for $480m in compensation. The Financial Times quoted Hassan Bouhadi, chairman of the LIA as saying the legal action related to technology assets in the four countries named. “The LIA is determined to regain what was squandered from the Libyan people,” Bouhadi Mr. said recently. On Friday, Finance Minister Felix Mutati told Parliament in a ministerial statement that the court had ruled that Zambia should compensate LAP Green for seizing Zamtel from the Libyan sovereign fund in 2012. Mr. Mutati did not give details over which court made the order nor payment timeline. The company was sold in 2010 by the Rupiah Banda administration for US$394 million on grounds that it had failed to recapitalise the business. In 2012, the PF administration under President Michael Sata forcefully took over Zamtel’s operation from LapGreen Network claiming that the 75% shares the company owned were corruptly sold by the previous administration. Lap Green Networks denied any wrongdoing in the manner it acquired the company and said it would challenge the country’s authorities in the courts of law. LapGreen Network then took the matter to the Lusaka High Court, where the government failed to defend its decision to repossess the company. Instead, officials decided to enter a consent judgement to compensate LapGreen Network its initial investment in Zamtel amounting to US$252 million plus interest, calculated at 8%, and other charges. The total amount payable to LapGreen Network came to US$382 million. According to the settlement agreement, the government was supposed to make an initial payment of US$114 million in November 2016, followed by biannual payments of US$35 million in February 2017 and August 2017 respectively. The opposition, the Forum for Democracy and Development (FDD) issued a statement through its spokesperson Antonio Mwanza demanding the government inform Zambians why it has failed to pay LapGreen Network and how it plans to settle the issue. Almost three years ago, a Zambian High Court allowed Lap Green Networks to take the matter to the London Court as it was considered neutral ground after the Libyan company expressed concern that it would not be given a fair hearing in Zambia. The court’s decision came after all foreigner directors of Zamtel were deported from Zambia. In 2012, President Sata constituted a commission of inquiry to investigate how Zamtel was sold to the Libyans. The Zambian government has failed to make public a report by the Commission of inquiry into the sale of Zamtel. However, a leaked copy of the Commission Report however shows irregularities in the manner in which Zamtel was sold, alleging that Lap Green and RP Capitals, which was appointed as financial advisor, bribed senior Zambian government officials. The Zambian government has repeatedly said it can only compensate Lap Green Networks for its investment in Zamtel, but that it will never surrender back the company to the Libyans. In 2014, the Zambian government agreed to repay the US$103 million loan that Lap Green Networks obtained from China’s ZTE in 2011 for the expansion of Zamtel network. The loan was obtained by Lap Green Networks in 2011 from ZTE in order to implement Zambia’s Global System for Mobile Communication (GSM) phase IV and Universal Mobile Telecommunication System (UMTS) projects. The repayment of the $103 million loan was considered to be the first step in compensating Lap Green over its investment in Zamtel. Secretary to the Cabinet Rowland Msiska instructed the Secretary to the Treasury to secure a loan from China’s Import and Export Bank (EXIM) to pay back the loan to ZTE on behalf of Lap Green. Dr. Msiska however, refused to discuss why the Zambian government decided to pay back the loan, and why it has decided to do so while the case was still in court. “Government does not discuss its plans and programs in the media,” Msiska had said.